Alameda Terminal Address: 2990 Main St, Alameda CA, 94501. Search nearby locations or get directions to the Alameda Main St. Terminal. 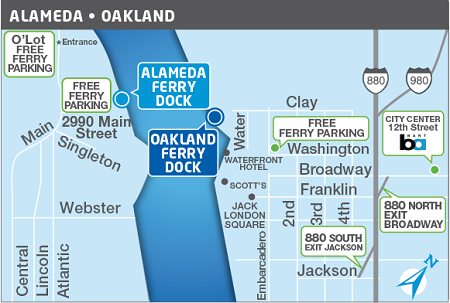 Oakland Terminal Address: The Oakland terminal is located at the west end of Jack London Square; Near 10 Clay St, Oakland CA, 94607. 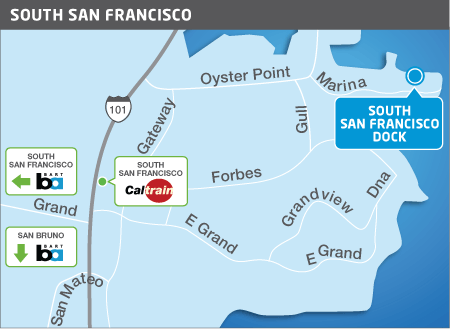 Search nearby locations or get directions to the Oakland Terminal.